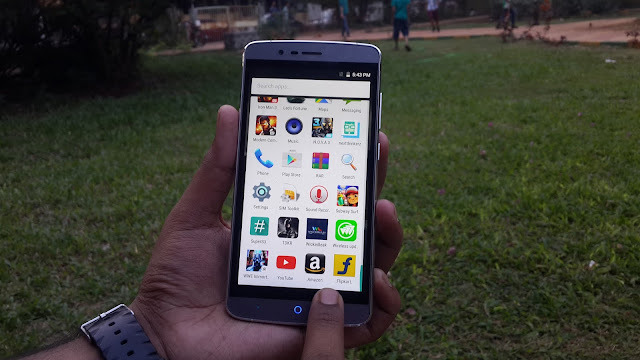 Wammy Titan 5 Review : 9 Things You Need To Know About One Of The Finest Affordable Flagship Device. So just like I said in my initial impressions post : Cheap phones are getting Good & Good phones are getting Cheap, this makes more sense now after using this device for about 2days. If you haven't check that post, make sure you check that first. 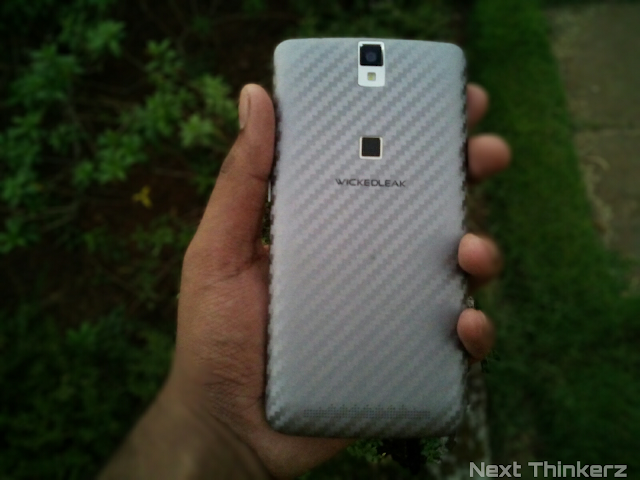 So Wammy titan 5 surely ticks a lot of boxes for what I look in a decent smartphone package. But after Googling a bit I came to know that this device is inspired in great terms to Elephone P8000, but hey isn't that what most companies are doing these days? For eg : Take major players like Samsung which goes toe to toe with Apple in terms of specs & Design, merely imitiating Apple. You can even consider the latest hTC One A9 that received lots of appraisal from the Nerd community for mocking Apple's design. Hell, even the Late. Steve Jobs once said, "Good artists copy, Great artists Steal". So if we can get pass that, let's talk about this device in-depth about how Wammy Titan 5 is Wickedleak's most amazing smartphone yet. 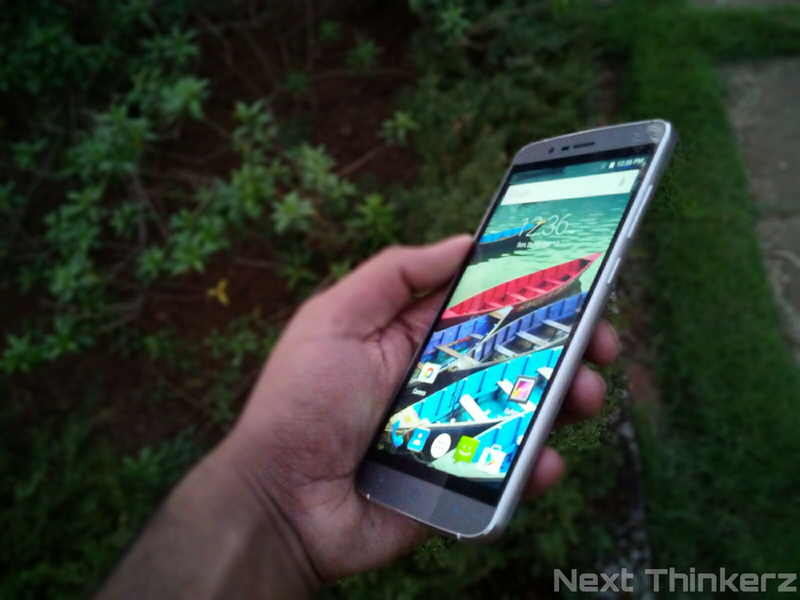 So does this device have the potential to replace every affordable flagship in Indian Space? Let's find out in our full review of Wammy Titan 5. So if you ask anyone about Wickedleak as a smartphone Company here in India, a quite handful of people would know about them. That's because of the dominance created by companies like Micromax, Karbonn, Spice & lava, etc which is because they've have built a strong foundation, well some of them are also in international charts due to partnership with International companies & Actors(Brand engagements). So that being said it's quite a heavy task to cope up with giants, Wickedleak might not be a publicly well-known company, but they do offer various smartphones and tablets especially Android & Windows equipped at highly competitive & affordable price points. So today let's break down, each and every little feature of their latest offering, Wammy Titan 5 pointwise. Initially at first glance Wammy Titan 5 looks huge, but when you hold it in person. It roars premium built & those metal aluminium alloy bands add a surprising touch over the edges, which doubles as antenna bands. The edges if you consider are champherd. It's quite hard to believe that you get such a prominent build at an affordable price tag. While the curved back cover makes the device feel thin in hand as it meticulously morphes within the edges giving it a magnificent appeal. The Volume rockers & Sleep/wake keys are tactile and provide decent feedback. The device feels surprisingly rich in-hand. Though it's thickness & weight can be compromised due to the added boast of a hefty battery both in terms of weight & size(4165 mAh). Even though it's hard to accept that the weight is not that much, Considering the affordable pricing as often company does cut corners somewhere, but that's not the case here. But where the company does cut corners is that black border around the display, Which is seen when your turn on the display. 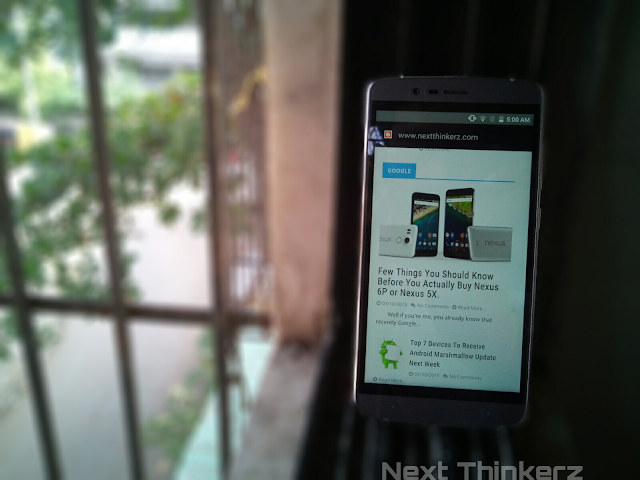 Whereas when the device is in Idle state it feels as if the company provides edge to edge bezels. Some may like this, some may not. Personally if you ask me, it doesn't matter. But if it does to you, don't go for the white version of this device as there black borders would be more noticeable. Then up at the top is the secondary camera joining with proximity sensor & earpiece. While at the bottom lays off-screen navigation keys of which only Home button is a backlit key, since it doubles as a LED notification light. Now if head over to the back, you would quickly notice that the back panel has got it's inspiration from D-brand skins. The back cover is made up of plastic which is slightly flexible. The back cover can be removed, but the battery is sealed in. 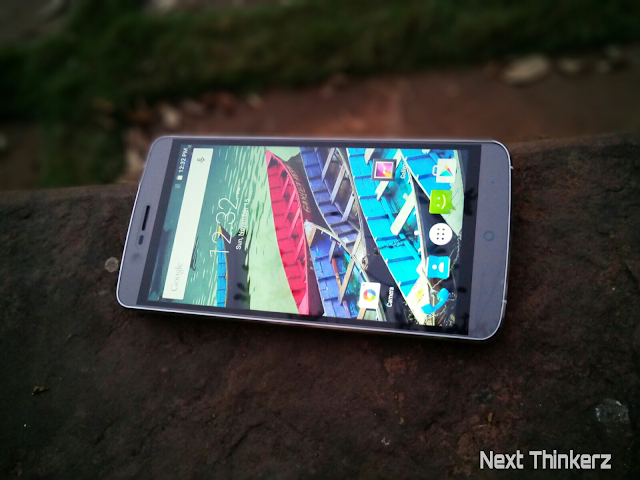 Opening the back cover, gives you access to Dual Sim slots & a microSD card expansion. While you even get a glance of embedded fingerprint scanner & the Camera sensor, both of which are wrapped around a metal frame of their own. My only concern here is that the Wickedleak logo at the back must be a little bolder. Also sometimes the metal frame on the top heats a bit, but it's tends to be on the warmer side. So nothing to worry thus far. 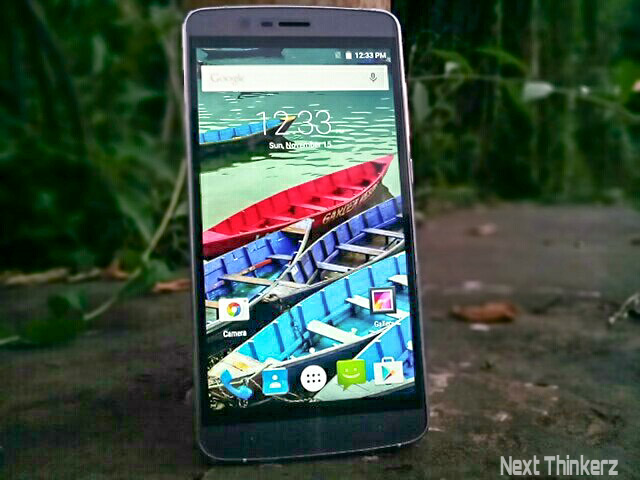 It sports a 5.5 inch Full HD(1920x1080) IPS LCD display which results in 401ppi. Hence the display looks gorgeous, crisp and colour accuracy is decent. The colour reproduction is amped up by Wickedleak's own tweak in display settings called 'Miravision'. While User mode lets you tweak each & every bit of pixel that represents Contrast, Saturation, Picture Brightness, Sharpness, Colour Temperature & Dynamic Contrast. If you mess up those settings accidentally, don't worry there's even a restore default settings button to trigger everything back to normal. Wickedleak : Well, Damn! I'm out of words. While protection is provided via Corning Gorilla Glass 3 panel, Although i would've loved to see Gorilla Glass 4 residing here. But if you ever manage to shatter your display glass anytime in 6 months, WickedLeak's got you covered with their After Sales support, atleast they say so. Wammy titan 5 hosts a 1.3 Ghz Mediatek MT6753 Octacore chipset(64-bit CPU) which is coupled with Mali T720 GPU & 3GB DDR3 RAM. Multitasking & playing heavy/casual games throughout the system is a piece of cake. It's good to see that Wickedleak sticked with Mediatek processor, as the competition often offers Snapdragon 615(1st/2nd Gen) at this price point, which is known for heating issues. MT6753 chipset performs exceptionally well in Antutu Benchmarks getting a score of about 33305 overall & it manages to stay right below Samsung Galaxy note 4. 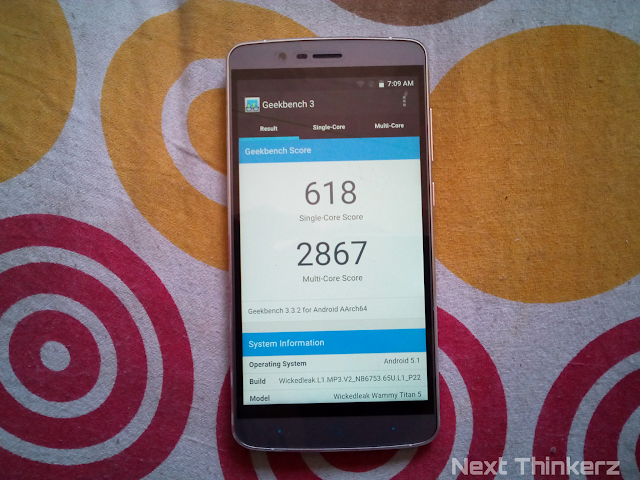 It also manages to get multicore score of about 2867 & singlecore score of 618 on GeekBench 3. So that's a lot of horsepower for day to day use & if you're a heavy user, the added SuperSU app can help you tweak the system suitable to your needs. They've got you covered, nerds. This device has 16GB of internal storage, while expandability is offered upto 128GB. Also do note that you can change the default write disk to memory card, which is when you toss one inside. Changing the default write disk means you can essentially install Apps/Games directly on Memory card. Once Marshmallow update lands on this device, App/Game base file(App File) can also be installed directly on your SD card with the Game/App Data files which are already possible to store via Lollipop. Both Sim slots support 4G LTE connectivity making the device futureproof. Wammy Titan 5 packs one of the impressive battery backup I've tested so far in any smartphone & that's not what i usually say about a lot of devices. It has a whopping 4165 mAh non-removable battery. I got about 5.5hrs+ of screen-on time roughly and still 5% of the battery was left. 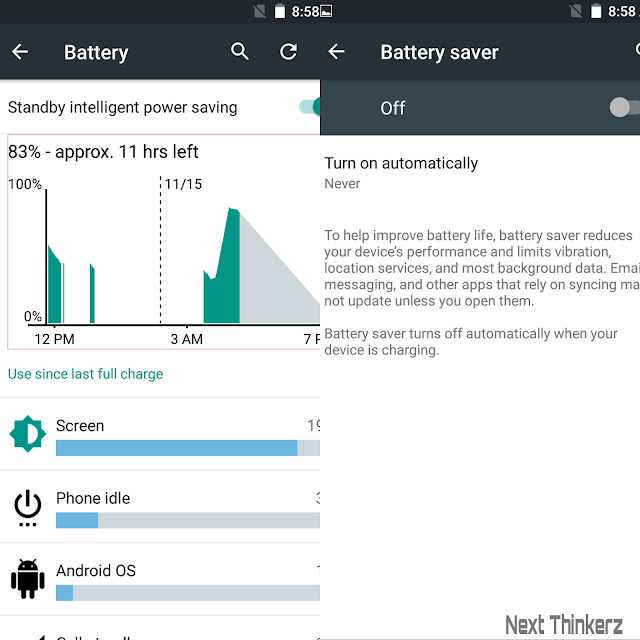 It was hard to deplete this battery as my typical review usage includes excessive web browsing, watching videos on YouTube, playing casual games & benchmarking via several Apps. I got more than a day of battery backup before it actually depleted. Though I wasn't using any SIM in this device, but it was connected to Wi-Fi all the time. Do note that your mileage may vary upon your usage. It takes about 2hrs to fully charge this device. Though the charger provided gives 2A input. The device also has what they call 'Standby intelligent power saving' Mode which is on by default, it initially mimics the Doze feature from Android M. As the name suggests it saves your battery during initial standby times, do keep in mind that battery saver mode is also available which can be triggered by default when your phone runs out of juice at 15%/5% battery left. Quick Tip : Never use your smartphone while it charges, this destroys the battery backup. As charging & discharging happens at the same time. Initially the speaker module on the back might feel disappointing at first due to distorted output while you click volume rockers to switch profiles, but that isn't a thing to worry about. 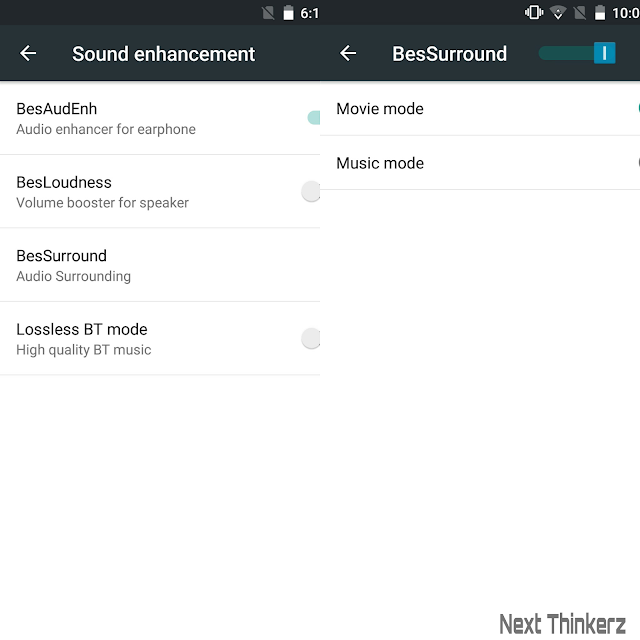 If you get this device and experience that, simply headover to Settings>Sound & Notification>Sound Enhancement & then turn off BesLoudness. This has fixed my issue so far, but the volume output isn't that great, as i do need to peform the old school gesture(Covering the speakers) to hear a little louder. But headphones have performed the job well, consuming media with headphones-on is a bliss, even though you need to buy headphones separately. 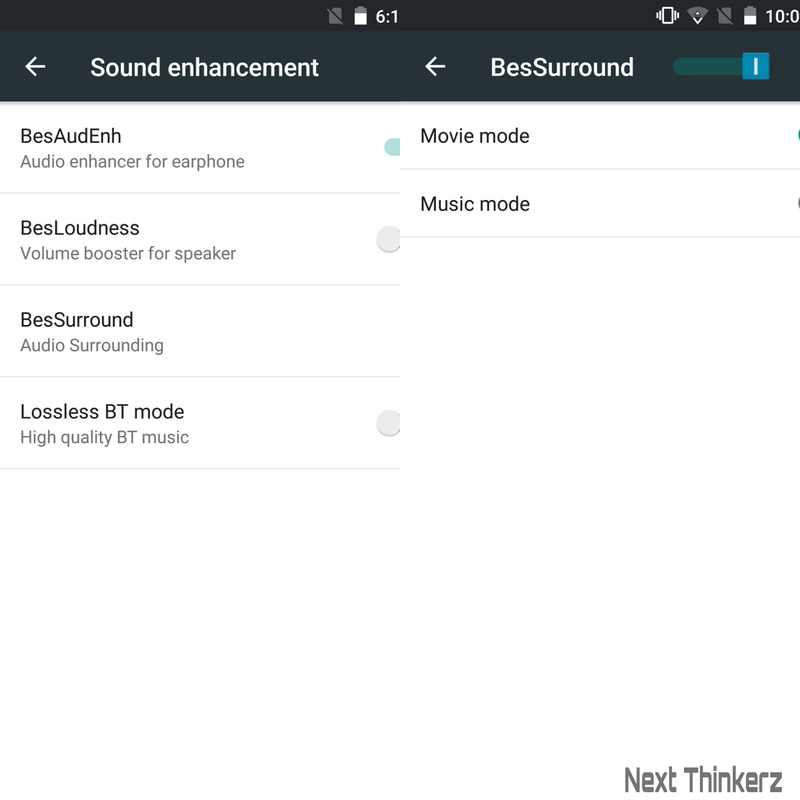 I've tested this out with my Seinhiesser CX-180's, you can also turn on BesAudEnh by going into audio settings for better audio reception via headphones. Although the audio output from the speakers can be enhanced via a software update, as a patch might do the work. First of all a fingerprint sensor available at such a competitive price is a surprise in itself. The sensor rests at the back panel just below the camera module. During the initial setup of this feature, 4/5 times it didn't work & it was a major disappointment for me at that time. But then I updated Google Play services (go to Google Settings gear in app drawer> help & feedback>View in Play Store) & then gradually it started detecting my fingerprint quite well. Now after using this device for about 2days, 4/5 times it recognizes my fingerprint almost immediately. For Starters, do notice that it takes some time getting use to matching your fingers. Accuracy for me is about 90-95% in 360° as no matter which Angle/orientation you choose to tap on that sensor, it unlocks the device immediately. Wickedleak : I would've love to see a larger, more broader sensor, as the sensor provided is quite small in size. So take notes for your next device! Wammy titan 5 has a 13MP rear shooter, while a 5MP front facing camera. Camera quality is decent but not that great. In daylight both cameras perform well, but as the sun goes down all you need is flash because low light photos aren't happening here which is acceptable, given the fact that this is a budget oriented device. Rear Camera suffers alot with focus points which is why i headed to Play store & downloaded Google Camera at first place, but that didn't fixed my problem. Random lost in focusing is just a software problem, which can be fixed with future device updates. Put forth if the focus is achieved the camera takes almost instantaneous photos with zero to none lag, but if focus is lost you need to struggle a bit. 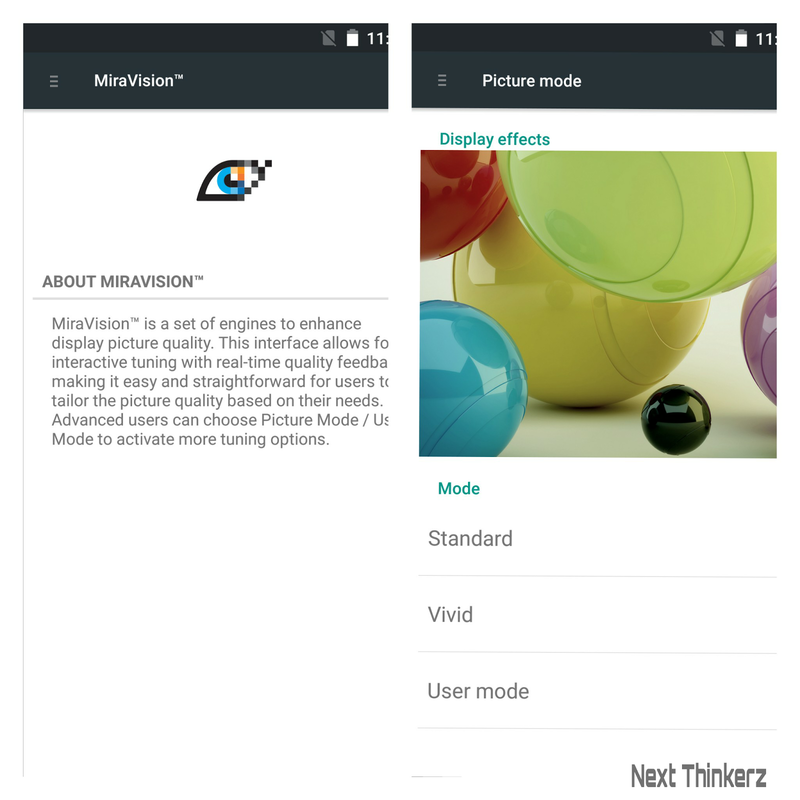 Inbuilt Camera app that usually comes with Mediatek equipped smartphones is here. 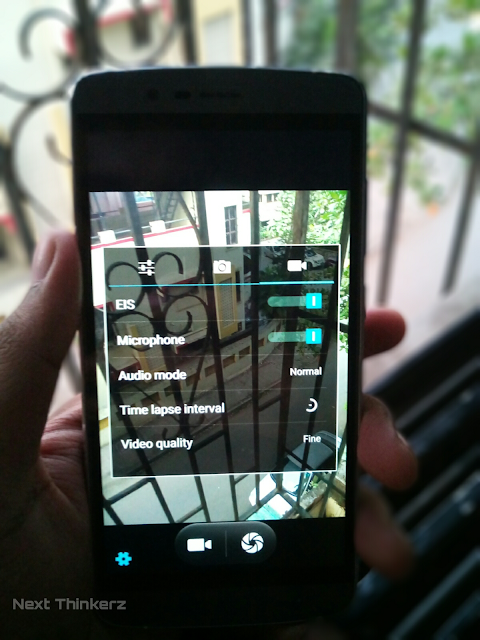 There are various features like Beauty mode, panorama, live photos(essentially small videos), live filters etc. But it's a bit old fashioned, but you can always head over to Play Store and choose from the thousands available. Wammy Titan 5 comes pre-installed with Android Lollipop 5.1 on-board with a sure upgrade to Android Marshmallow 6.0 . The software running here is mostly stock with NO pre-installed Bloatware, which is awesome & on top of that it comes with SuperSU preinstalled, that's a bonus for certified geeks. You can simply apply thousands of modules/packages available online via SuperSU(or grab Xposed) thus modifying the look & feel of the device suiting your needs. 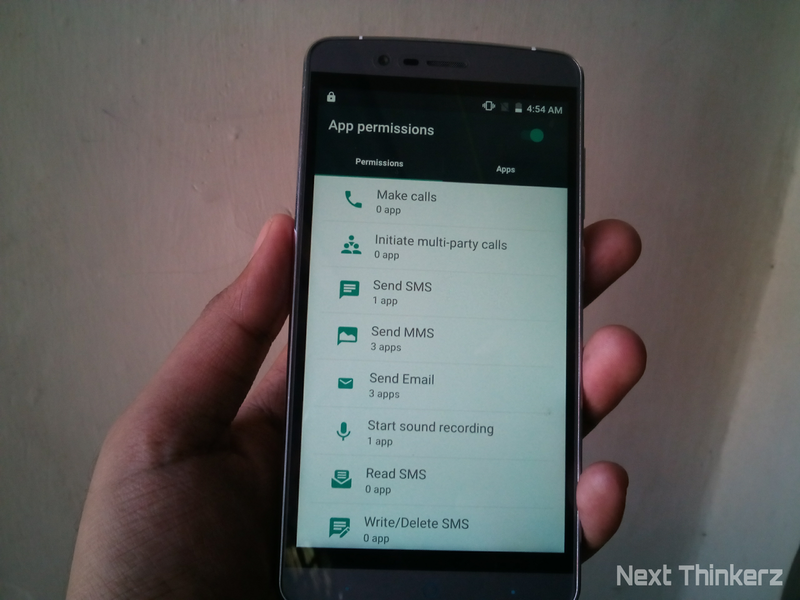 It also has App permissions which is a feature from Android M, it's good to see that Wickedleak added that here. The Marshmallow update is going to be a lot beneficial for this device as it would support In-App/Store purchases via Android Pay. While Fingerprint mechanism will be more precise & secure with Android Marshmallow's API. This device is capable of receiving updates for upto 2 years due to the bolster hardware, I just hope they continue the reigns of future updates. Well if you thought all that mentioned above is enough, think again. This device is water resistant too, while watching a video by wickedleak makes me sure that it's waterproof too. Wickedleak says that, "AquaProtect is a super-hydrophobic intelligent coating which bonds to all internal and external components of a device at a molecular level." Device without Aquaprotect : Rs. 14,990 ($227 approx). Device with Aquaprotect : Rs. 16,490 ($249 approx). It is already available on their own website, they've free delivery available across India. It's sold on their own website, so payment is safe & secure. The device is available in Gold, White-Silver & Dark Gray-Silver colours. Wickedleak : Although I would love to see this device on India's leading e-commerce websites, that's how you guys would gain the much needed exposure. 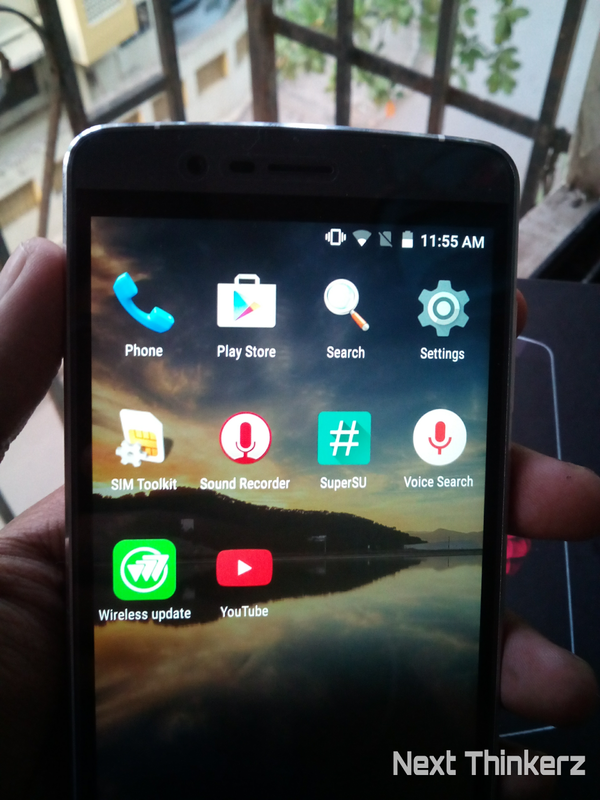 So there you have it, a much extensive look at Wickedleak's most wicked smartphone yet. This device has an impressive battery good for Road warriers, a fast processor, tough build quality, a decent display & a passable camera good enough for social media purposes, while it's surprising to get a fingerprint scanner tossed on this device. It's one of the best devices I've tested from a long time especially from an Indian OEM. So I wouldn't hesitate recommending this device for anyone. This device might go toe to toe or even outperform Oneplus X. Also See : Wammy Titan 5 Initial Impressions. If there product is really worth for what they are taking from customer then why they are not selling there product in Flipkart, Snapdeal, Amazon etc....Bcoz they cant sell any defected or fake product there. Friends make a wise choice before buying anything from this company. 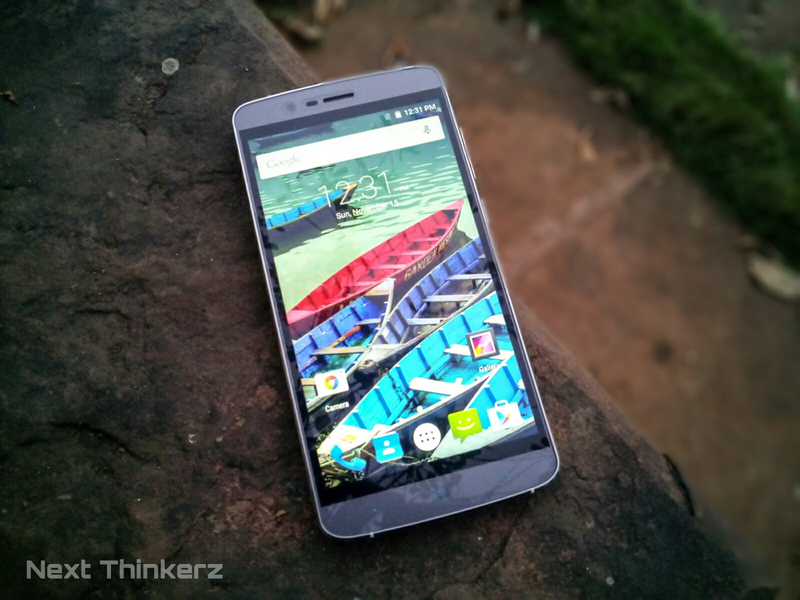 This is completely third grade china mobile with lot of issues in it. As far as I've used the device it's pretty solid, the only thing that goes through customer's mind is the 'New Company'. Though yes I've heard few complaints from people but that stays in the ratio of about 20-30%, that's why I've been getting mails lately whether he/she should buy this device... And as far as the flipkart/snapdeal/Amazon part goes, they don't sell it their because those e-commerce websites have their own margins(like per device/per sale 10% or so..) So for any startup it's quite hard to do that initially i guess, wickedleak's CEO has made a video about why they don't sell on India's e-commerce websites on YouTube, go check that out. 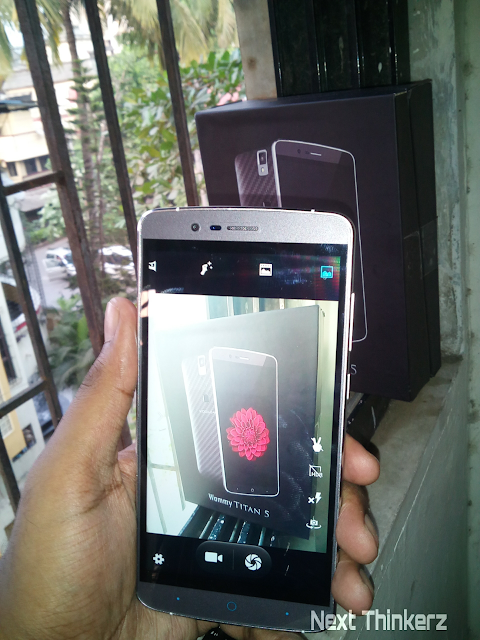 The device looks impressive at first glance and so I bought it. However, after 3 months of use, started getting glitches. If I use for long, set gets hot and its touch screen stops working. This has happened many times. I sent mail to company to know how this can be resolved, or to know their customer care numbers. They have not responded even after a month. Problem still persists. So be careful in going for this set. Before buying think twice. After 3 months use, set malfunctions, becomes hot and touch screens stops functioning . no customer care, so service, no response. You will be totally lost suddenly. This has happened many times and supplier have not suggested any solution even after complaining two month back. Set is too good to be true. All that glitters is not gold.